The United States Consumer Safety Commission issued a special report describing fire hazards due to lint in clothes dryers. Approximately 15,000 fires a year are attributed to excessive lint in dryers and dryer vents. Dozens of deaths, injuries and millions of dollars of property damage result from these fires. Lint builds up in the dryer and exhaust duct and causes the dryer to overheat. Over time this overheating damages sensitive sensors in the dryer, causing them to fail. This failure can lead to a smoldering fire that can and does destroy homes and businesses. Your dryer's filter only captures about 60% of the lint that is generated. The rest is pulled through the dryer exhaust system and can be caught in the dryer vent. Wehave all the equipment & experience needed to remove this lint making your dryer efficient and safe again. If your dryer is gas operated the danger is even greater. Carbon monoxide must exit the home through the vent. If it becomes blocked, carbon monoxide poisoning can happen. If it has been more than 2-3 years since you called a professional for dryer vent cleaning, please call The CleanAir soon. We reduce your risk of experiencing the trauma of a dryer-related fire. 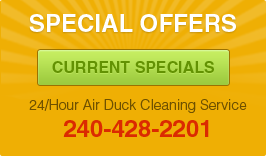 Your peace of mind is worth the surprisingly low cost of our dryer vent cleaning service. 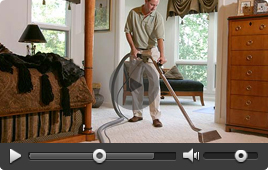 Significant amounts of lint on the ground under and on the vent outside your home..